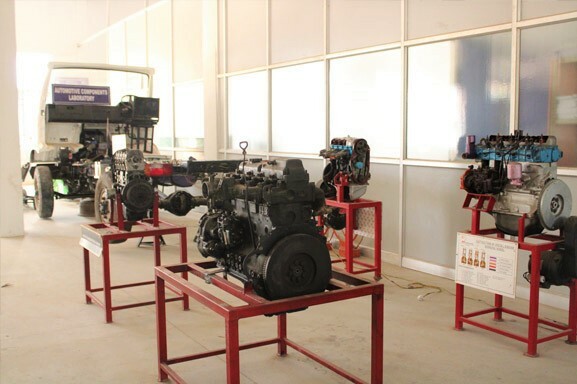 The Department of Automobile Engineering was established in academic the year 2012.Keeping in view of the demand for automobile engineers the department has a vision to enrich the knowledge of students and update the latest technology of automobile engineering. The department has a team of highly-qualified and well-experienced faculty and staff members of proven ability and administrative skills. They specialize in IC Engines, Alternative, Fuels, Automotive Technology, Automotive Design, Production, and Thermal & Electric Vehicles. 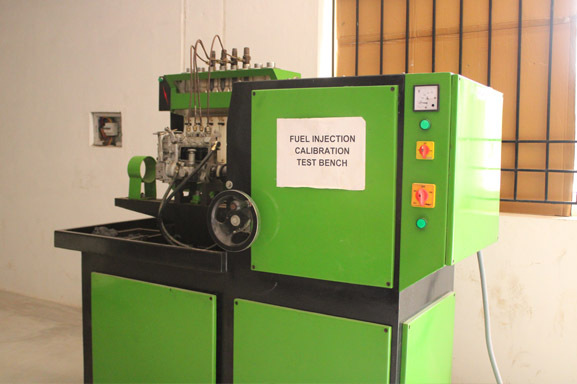 The Department of Automobile Engineering has got well equipped laboratories such as Engine Testing & Pollution Measurement Laboratory, Auto Scanning Laboratory, Automotive Components Laboratory, Fuels and Lubricants Laboratory In addition to this; basic laboratories such as Chassis Components, Engine Component and Vehicle Maintenance Laboratory are also there in the department. 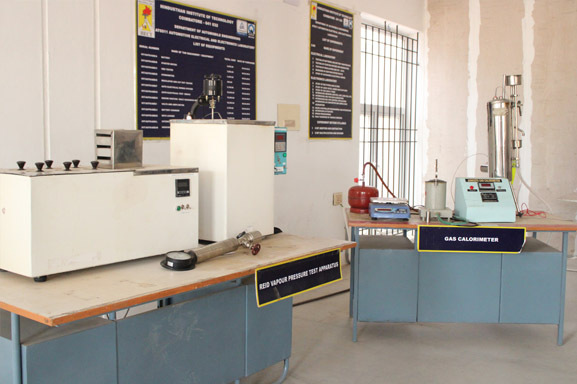 Other basic laboratories like – Strength of Materials, Fluid Mechanics and Machinery, Thermal Engineering and Metrology Lab have also been developed and is backed up by a modern workshop containing Carpentry, Smithy, Fitting, Welding, Machine Shop and Foundry Shop that cater to the needs of the students. 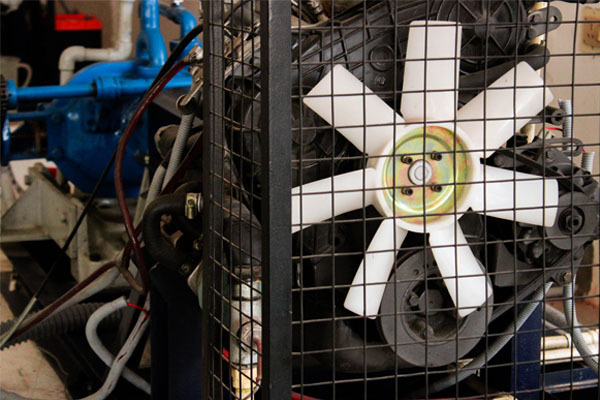 Through industry integrated workshops, seminars and conferences the students of automobile engineering are exposed to latest technology in designing the computer modeled and simulated components and development of new components/vehicles through relatively inexpensive process. They are encouraged to improve analytical and technical skills to gain employment in the areas such as Automotive control, Engine Design, FEA analysis, Chassis Design, CFD simulations and Vehicle Dynamics. 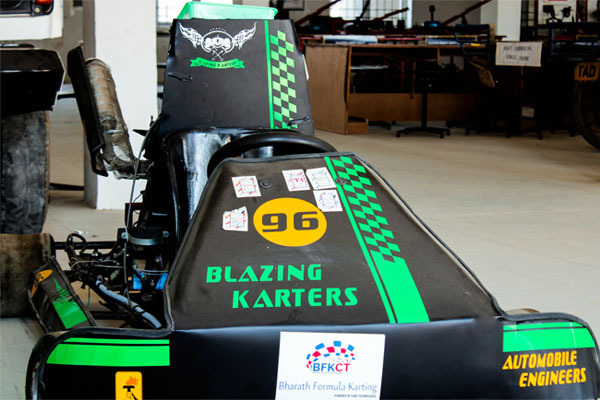 We have a separate Fabrication laboratory which is fully equipped with latest machines where our students used to fabricate their vehicles and participated in various events like dirt bike, GoKart and Supra. The future automotive engineers are motivated to be in teams of SAE(Southern India Section) and Imperial Society of Innovative Engineers. 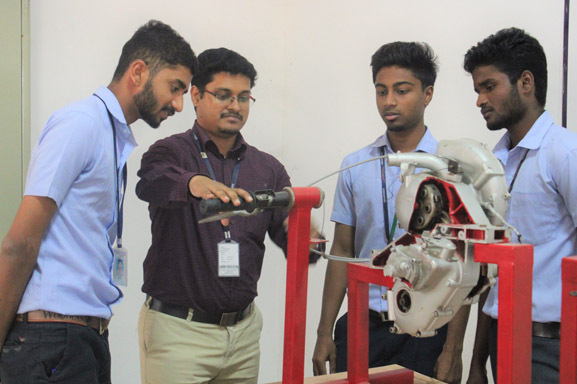 To develop competent, disciplined imaginative Automobile engineers, equipped with core competency and technical skills useful to the learning / teaching community and the industrial fraternity. 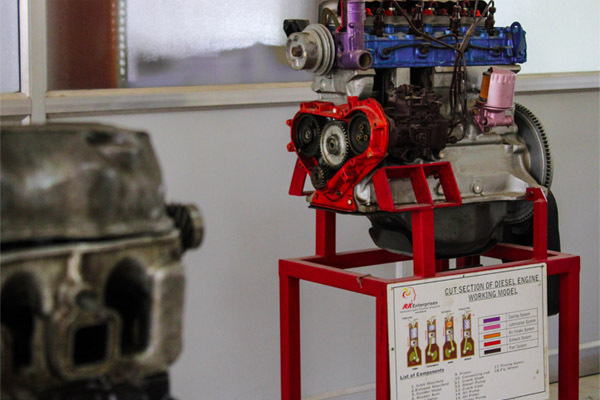 MD1: To provide the students with operational and technical inputs through faculty to get innovative and research ideas in the field of automotive engineering. MD2: To prepare the students for higher education with management qualities for the betterment of the society. MD3: To prepare the students to apply modern engineering tools necessary to meet and solve engineering problems. 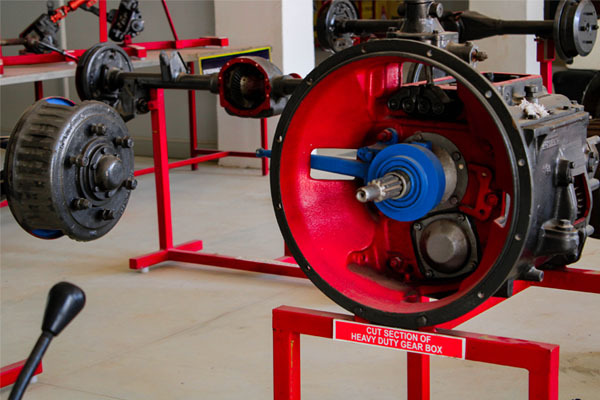 PEO1: Graduate will possess technical skills to diagnose and apply the concept of automotive system. PEO2: Graduates able to design, fabricate and innovate in automobile sector to face the industrial challenges. PEO3: Graduate able to play the key role in automotive industry with good communication, ethics and entrepreneurship skills. PO1: ENGINEERING KNOWLEDGE: Apply the knowledge of mathematics, science, engineering fundamentals, and an engineering specialization in the solution of complex engineering problems. PO2: PROBLEM ANALYSIS: Identify, formulate, review research literature and analyze complex engineering problems reaching substantiated conclusions using first principles of mathematics, natural sciences and Engineering sciences. PO3: DESIGN /DEVELOPMENT: Design solutions for complex engineering problems and design system components or processes that meet the specified needs with appropriate consideration for the public health and safety and the cultural, societal and environmental considerations. PO4: CONDUCT INVESTIGATIONS OF COMPLEX PROBLEMS: Useresearch based knowledge and research including design of experiments, analysis and interpretation of data and synthesis of the information to provide valid conclusions. PO6: THE ENGINEER AND SOCIETY: Apply reasoning informed by the contextual knowledge to assess societal, health, safety, legal and cultural issues and the consequent responsibilities relevant to the professional engineering practices. PO7: ENVIRONMENT & SUSTAINABILITY:Understand the impact of the professional engineering solutions in societal and environmental contexts and demonstrate the knowledge of need for sustainable development. PO8: ETHICS: Apply ethical principles and commit to professional ethics and responsibilities and norms of the engineering practices. PO10: COMMUNICATION: Communicate effectively on complex engineering activities with the engineering community and with society at large, such as being able to comprehend and write effective reports and design documentation, make effective presentations, give and receive clear instructions. PO12: LIFE LONG LEARNING:Recognize the need for the presentation and ability to engage in independent and lifelong learning in the broadest context of technological change. 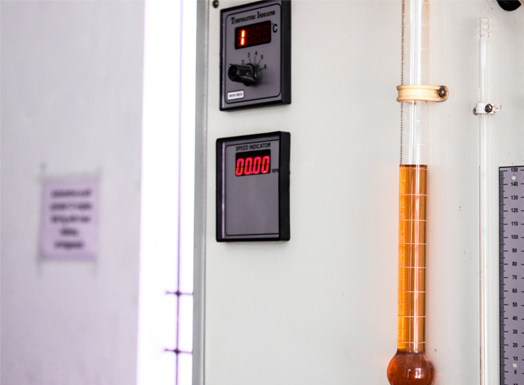 The Automotive Components laboratory which is one of the important laboratories in the Automobile Engineering was established in the year 2013. 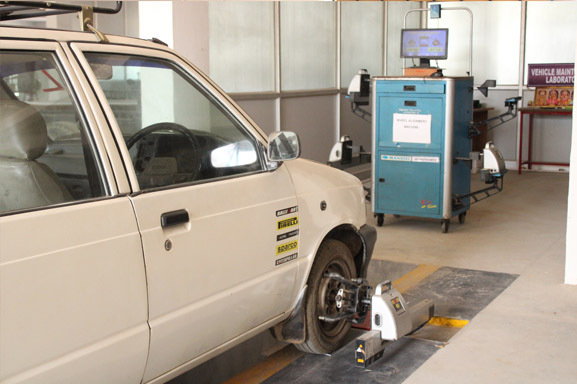 The automotive components lab has equipped with Multi cylinder engine, Four wheel drive and Air brake system, etc. 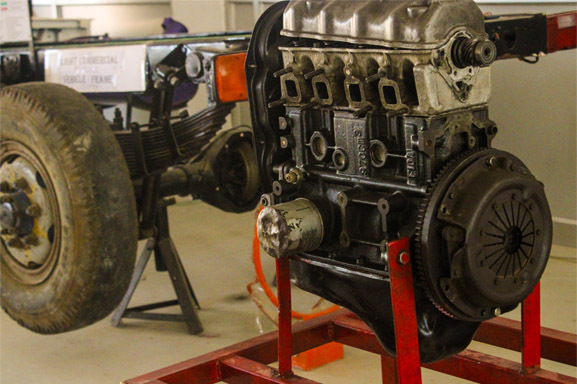 The lab includes both academic and research based equipment in order to experience the skill of dismantling and assembling of Engines, Engine components and Chassis Components. 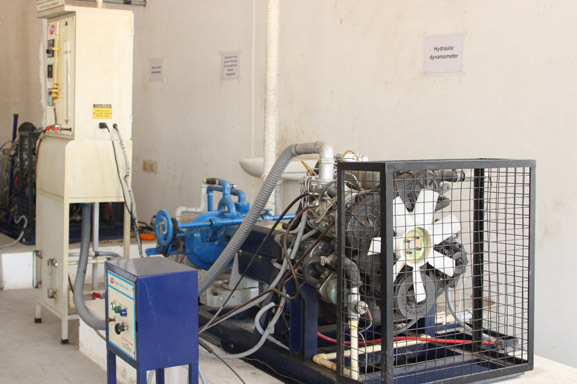 Automotive electrical and electronics laboratory established in the year 2014 for Academic purpose. 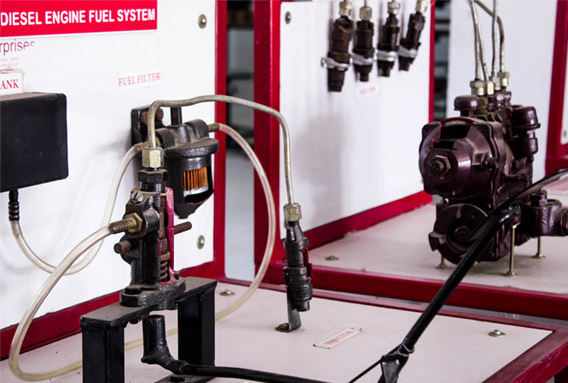 It focused the students to Identify charging, starting, ignition, accessory-circuit components, their functions, maintenance procedures, types of automotive wiring, types of terminals, and wiring diagrams. 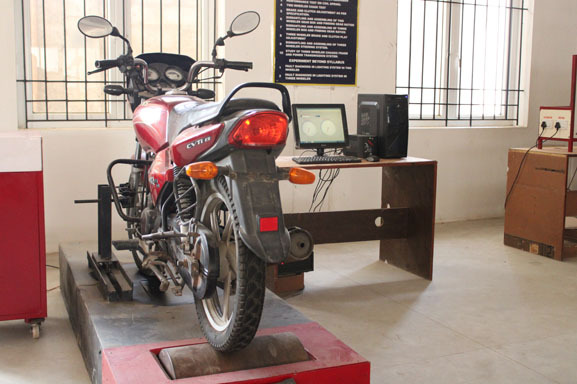 The laboratory has various two wheelers and three wheelers to conduct all the tests specified in the curriculum of Anna University. 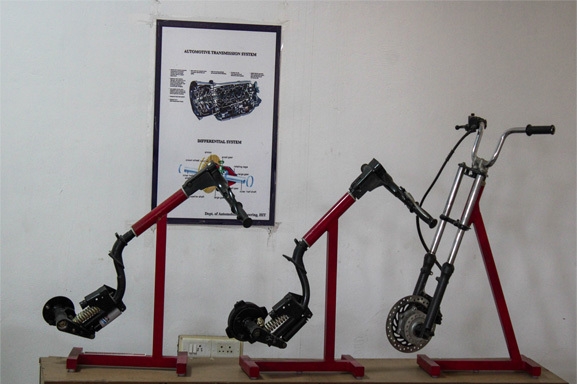 Two wheeler engines with transmission system. Three wheeler with engine, chassis, and transmission system. she is having more than 16 years of academic experience. Her area of Interest is Alternate Fuels. She has published 02 papers in International Journals. She has presented 2 papers in National conferences. She has life time Member in IE. He is having more than 8 years of industrial experience in manufacturing field and 6 years of Teaching experience. He has published 02 papers in International Journals. He has presented 2 papers in National conferences. He is a member of ISTE. He is having more than 6 years of Teaching experience in the Field of Automobile Engineering. He has attended number of Faculty Development Programs and workshops in various Institutions .He is a member of IAENG. He is having more than 6 years of Teaching Experience in the field of Automobile Engineering. He has presented papers in 01 International and National conferences. He is a life time member of ISTC, IAENG. 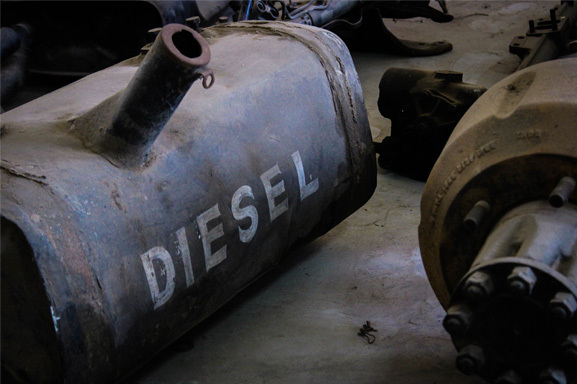 He is having more than 7 years of Teaching Experience in the field of Automobile Engineering. He has published 04 papers in National Journals and presented papers in 04 International and 04 National conferences. 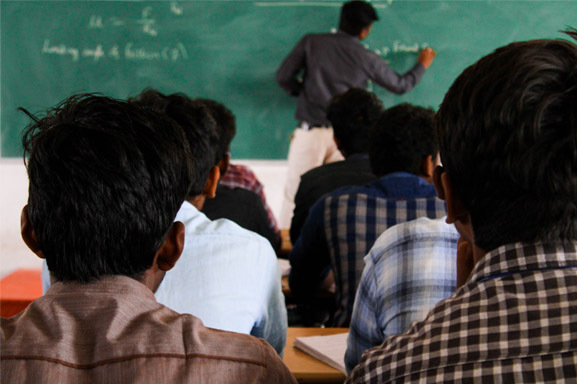 He has attended number of Faculty Development Programs and workshops in Various Institutions. He is a Life Time member of ISRD, IAENG. He is having more than 6 years of Teaching Experience in the field of Automobile Engineering. He has published 03 papers in International Journals and presented 01 paper in National conferences. He has attended Faculty Development Programs in IIT Bombay remote center. He is a Life Time member of ISRD. He is having more than 4 years of Teaching Experience in the Field of Automobile Engineering. He has attended one International Conference. His area of Interest is thermal Engineering and Automobile. 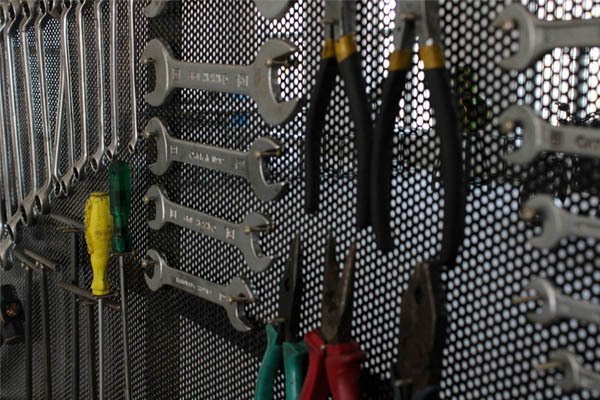 He is having more than 6 years of Teaching Experience in the Field of Automobile Engineering. His area of Interest is thermal Engineering and Automobile. The main focus of this collaboration is to promote and enhance academic interest and relationship between both parties. To provide industrial advice and experience to the students of HITECH. To encourage the joint research and collaboration activities between the member of both parties. Make a long term professional tie up and to promote enters of either parties. The purpose of MoU is to have mutual intentions to jointly work on projects required for industries and research needs, with learned faculty of good industrial experience and promising students, jointly agree to exchange their expertise for mutual benefit and growth. MAS To reduce gap between industry and institute by providing project and training and to provide faculty and facility resoure to the industry for developing skills. The given deep knowledge about the solar panal making and applications. The company would provide guidance to students during their final year projects and would also be interested to hire talented students from the institution. CADD Technologies HITECH and CADD Technologies have entered into an agreement to develop academic and educational co-operation. The Memorandum of Understanding will facilitate to provide Value added courses and afford placements to the students. To stretch awareness to students of latest software used in industry. JDS The objective of this agreement is to enhance the driving skill and help to get license to the students. To make the awareness camp for the road safety and improve driving skills. To provide the knowledge in various documents related to vehicle registration in RTO. To provide the basic idea in safe driving by teaching the traffic rules and regulations.